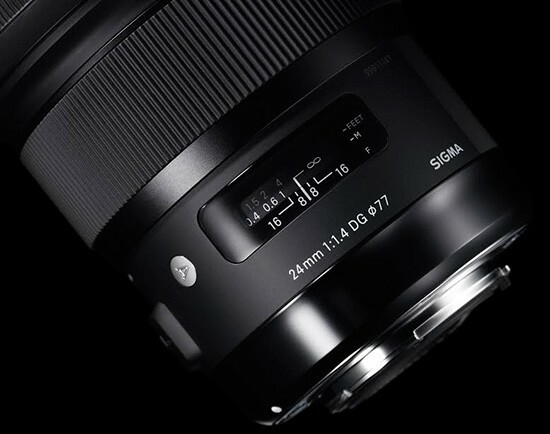 The long rumored Sigma 24mm f/1.4 DG HSM Art lens is now officially announced and will be available for Canon, Nikon and Sigma mounts. 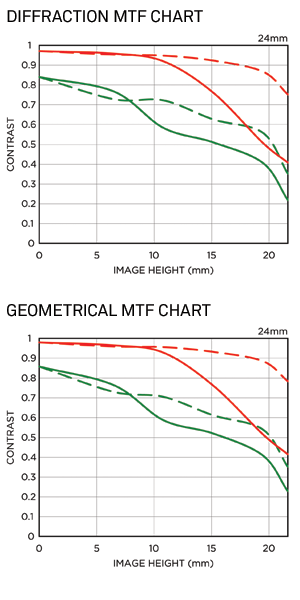 Estimated availability for Sigma and Canon mounts is March 2015, Nikon mount should arrive in April 2015. 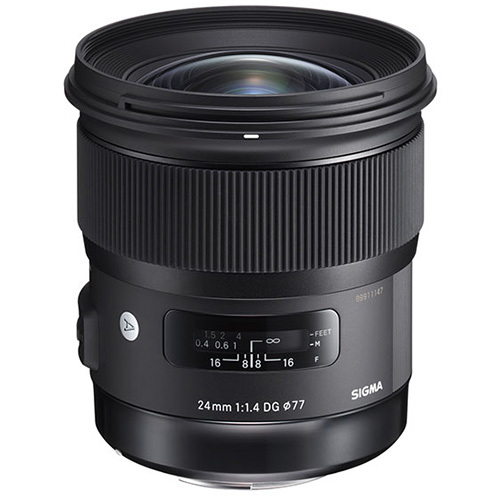 Update: Sigma 24mm f/1.4 DG HSM Art lens price announced, available for pre-order. HSM -Hyper-Sonic Motor* The appearance, specifications, and the like of the product are subject to change for improvement without notice. 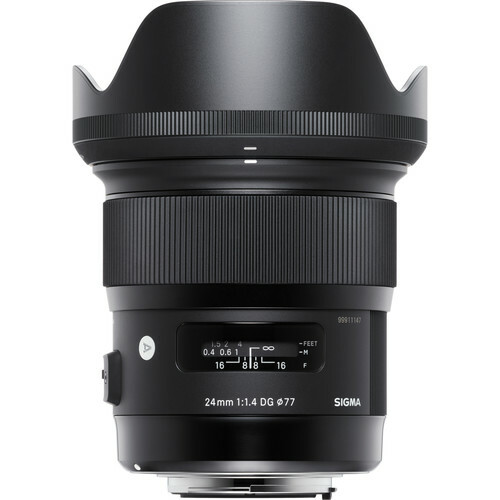 The much anticipated 24mm F1.4 Art wide angle lens is designed for full-frame DSLRs, and when used on digital cameras with an APS-C size image sensor, it effectively becomes a 38mm. The lens is ideal for capturing a variety of photography subjects, including cityscapes, mountain ranges, astrophotography and weddings and is great for videography work as well. 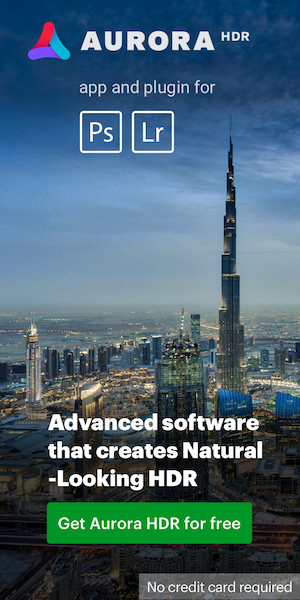 The 24mm also excels at indoor photography in low illumination thanks to the combination of exceptional focal plane sharpness, and gorgeous bokeh rendered by nine rounded aperture blades. The lens achieves a maximum magnification of 1:5.3 with a minimum focusing distance of 9.8 inches. 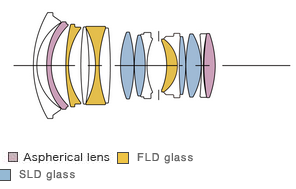 The 24mm incorporates both "F" Low Dispersion (FLD) glass and Special Low Dispersion (SLD) glass in a design of 15 elements in 11 groups to minimize chromatic aberration of magnification especially in the edge of the image field. Moreover, the optimized power layout includes aspherical elements that are positioned in the rear of the lens for improved wide open performance. This helps to ensure minimal distortion through the correction of axial chromatic aberration and sagittal coma flare. The new lens element design also delivers excellent peripheral brightness. 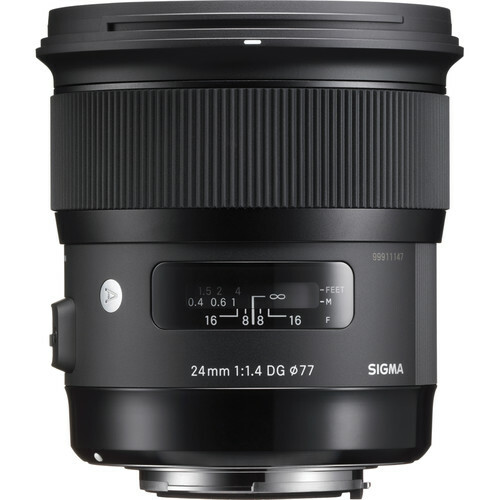 The 24mm F1.4 is compatible with Sigma’s USB dock, allowing photographers to update the lens’ firmware and change focus parameters as well as manual focus over-ride using Sigma's Optimization Pro software. It is also compatible with Sigma’s Mount Conversion Service. The lens will be available in Canon, Nikon and Sigma mounts, and timing, pricing and availability will be announced at a later date. Check for pricing and availability at Adorama. This entry was posted in Sigma and tagged Sigma 24mm f/1.4 Art lens. Bookmark the permalink. Trackbacks are closed, but you can post a comment.